iTi Tropicals, Inc. is an importer that believes in more than simply shipping tropical & exotic fruit juice, puree & concentrates to the food manufacturing industry. 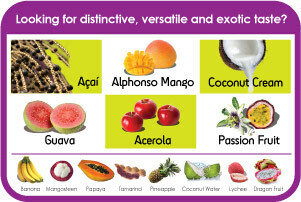 For over twenty years we have been introducing the food world to new and exciting fruit such as mangosteen, lychee, soursop acerola, acai and most recently to a ground breaking coconut water concentrate. We continue at the same time supplying more mainstream fruit juice, puree & concentrate such as banana, guava, coconut cream, mango, passion fruit and pineapple. We truly stand by the quality of our products as well as the healthy formulations they present. Through our travels in Asia and South America we establish bonds with farmers and processors. These unique experiences allow us to learn firsthand about the effects of pest and weather so we can anticipate crop fluctuations and inform our customers accordingly. Additionally, because we believe so strongly in the potential of these exotic fruit ingredients, we offer some exclusive product formulation services to our customers. iTi's research and development technologists can help you develop formulas using these exciting fruit ingredients in everything from sorbets, smoothies, ice cream, and fruit drinks to salad dressings, sauces and soups. We are equipped to provide samples of these recipes as well as present seminars and demonstrations in order to educate our customers about the exotic fruits they are curious about. 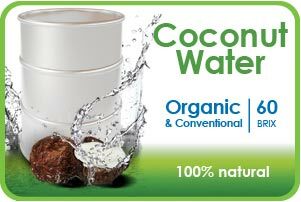 Click Ad to visit our new Coconut Water website! Click Here to request white paper on Coconut Water.